This slim, sleek palette features a vivid, dimensional, multilayered smoke-screen print reminiscent of the shades inside. And the mirror is huge! It's a color addict's ultimate fix: a mind-blowing palette filled with 10 of the brightest, most amazing shades you’ve ever laid eyes on—including eight never-before-seen shades you won't find anywhere else. Why do a Pressed Pigment Palette? Using pressed pigments was the only way to create heavily saturated brights with the intense pigment load we craved. Traditional formulas just wouldn’t cut it. 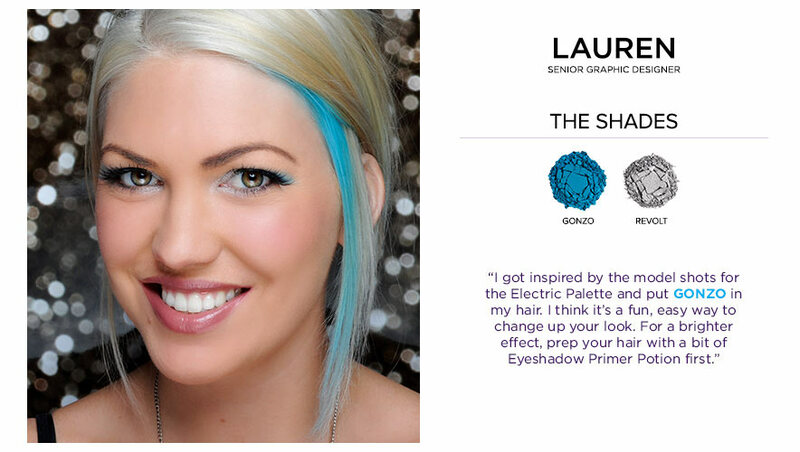 To achieve shades like these, we had to develop an entirely new formula! From ultra-smooth mattes to highly dimensional shimmers, each VELVETY shade delivers insane color payout. Includes our NEW cruelty-free, double-ended pressed pigment brush. On one end: a compact precision brush. On the other: a small pigment brush. We carefully crafted the formula on every shade to make sure each one would apply with a soft and creamy texture and deliver serious color payout. Try brushing Chaos onto the temples at the hairline. (It even shows up on brunettes!) Prep with Eyeshadow Primer Potion first. For a cool, punk-femme look, brush Freak onto the temples at the hairline. (It even shows up on brunettes!) Prep with Eyeshadow Primer Potion first. Use your finger to dab Jilted on top of your lipgloss. 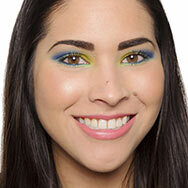 Try mixing Slowburn with some powder and using it on your cheeks. Urban looks great as a dramatic blush color or applied in blonde hair. 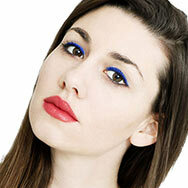 For a bright cat eye, dip an angled brush in water and use Thrash as a liner. Savage looks amazing as a hot blush for summer cheekbones! You can also dab it on your lips for a stain-like effect. 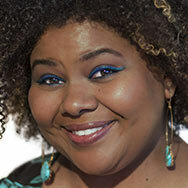 Try Gonzo in your hair for a fun, easy way to change up your look. For a brighter effect, prep your hair with a bit of Eyeshadow Primer Potion first. 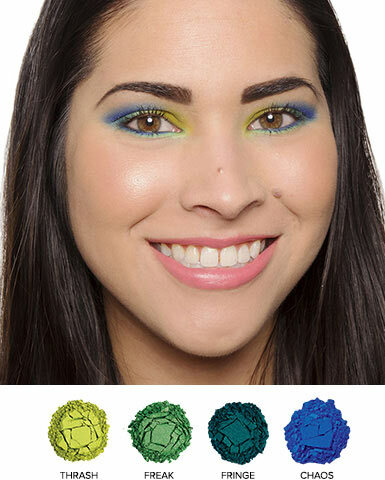 Use Revolt as a highlighter in your brows or around the outer eye or cheekbone. Also looks amazing as an icy shimmer on top of a deep wine or berry lipgloss! 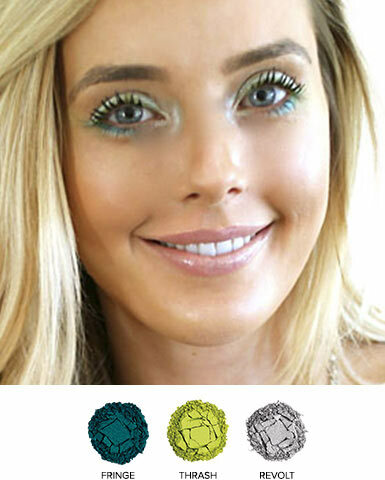 For a bit of subtle edge, use an eyebrow brush to apply Fringe to the outer ends of your eyebrows as a highlighter. 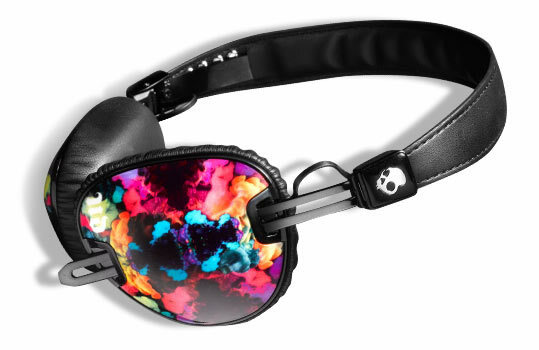 Designed specifically for women by Skullcandy, these over-ear headphones have what it takes to satisfy the most serious audio enthusiasts, plus they look hot. our crazy-talented Product Development team). Steal their amazing looks! 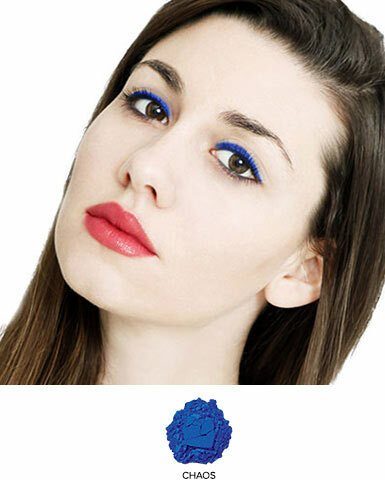 look, pair a simple bright eye with a neutral lip. 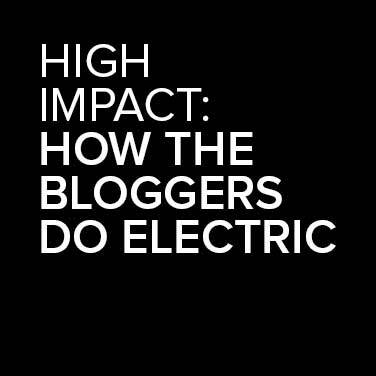 looks some of our favorite bloggers created. 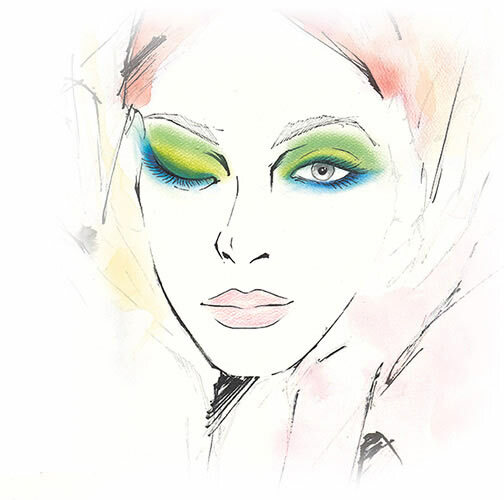 What is your number one beauty tip for working with shadows and pressed pigments? Don’t be afraid to try new Colour combinations! You can always play with them on the back of your hand before applying, but makeup washes off, so nothing is permanent. Have fun! Pat the Colour on and then blend. This will help eliminate fallout. 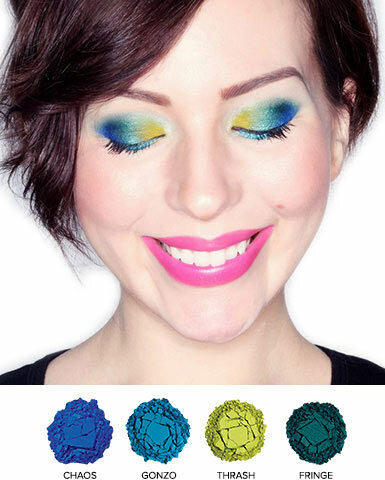 What is your favorite shade from the Electric Palette? It's really hard to pick one shade as this palette has so many beautiful Colours. But if I absolutely had to choose, I would go with Fringe, because it's a unique Colour that looks good on most skin tones. Always start with Eyeshadow Primer Potion. It will keep your shades from creasing, give them more longevity and make the Colours pop. I'm loving bright blues, so naturally I'm smitten with Chaos. 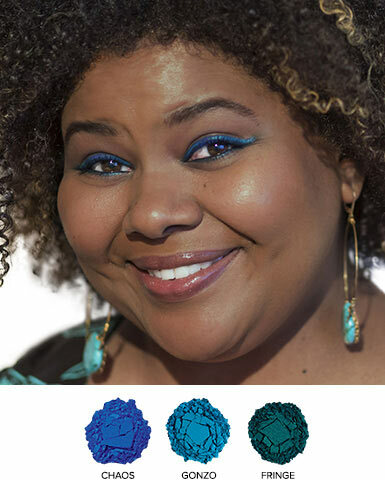 It's a highly pigmented bright blue that works great for day and night. What was the inspiration behind your looks? For the nighttime look, I wanted to play around with a gradient ombré effect, because I fell in love with all the teal and green shades! My favorite shade so far is Fringe. It’s got such a seductive shimmer to it. It reminds me of mermaids and sea glass, but with that Electric twist. It’s stunning. I wanted to create clean looks that didn’t feel overdone. It’s easy to go overboard when working with so many gorgeous shades. I focused on editing in order to create wearable looks that can suit anyone. The Colours stand out day or night, but they’re not overpowering. Shades like these can be tricky if you don't have the right brush. Thank God the brush in this palette is literally perfect. 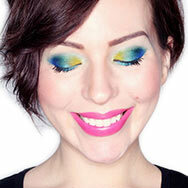 It was so easy to apply all of the Colours—the brush wasn't too thick or too thin. 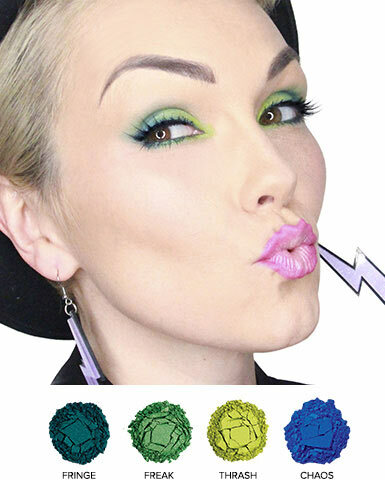 We know you love chaos-inducing color as much as we do, so show us the electric brights that rock your world. Be sure to use #UDgetelectric and tag @urbandecaycosmetics. We’ll share the boldest and brightest posts.